The web is an amazing collection of no-cost resources for lifelong learners. I’ve shared hundreds of resource links on this blog and there are millions of others available to help anyone in their pursuit of learning. I often take learning-oriented websites for granted. But, every once and a while, it’s important to consider how these resources came to be. Without people taking the time to support no-cost learning opportunities, the web would offer learners little more than skateboarding videos and pictures of baby animals. Learning advocates have done so much in this area, but self-education resources can continue to improve. Imagine a future where: collaborative textbooks can be downloaded to your computer or e-reader at no cost, millions of out-of-copyright books are available in digital or audio formats, opencourseware classes are provided by every university, and no-cost academic journals are available at the click of a mouse. These realistic possibilities could have a huge impact on our ability to learn independently. You can help create a more collaborative system of learning by encouraging universities to create open access policies. Write a letter to schools in your area and let them know you support open research. You may also want to encourage the government to create an open access policy for research funded by tax-payer dollars. Why should the results of publicly-funded studies be so expensive to read? 2. Collaborate on an open textbook project. According to one study, the average undergraduate student pays around $4,000 on textbooks a year. People involved in self-education can be more selective about their book purchases. But, it’s often a challenge to find the material that’s needed when publishers think nothing about charging $100 for a paperback volume. Open textbooks are available at no cost. These are often donated by professors (sometimes asking for a donation from satisfied readers). Other times, open textbooks are a collaboration of work between many experts. You can help make open textbooks a reality by signing the Make Textbooks Affordable statement or by participating in projects such as OpenTextbooks.org. In addition to contributors, open textbook projects need help contacting current textbook authors to see if they’re interested in making their work available via an open license. 3. Contribute to opencourseware projects. 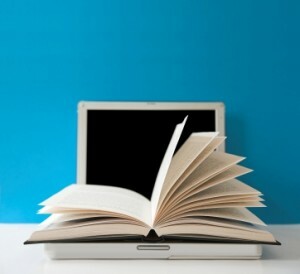 A growing number of universities are offering free online class material to the general public. However, we need to keep in mind that these valuable resources cost quite a bit of money to the participating school (MIT’s stand-out program cost just under 4 million last year) and are vulnerable to budget cuts. 4. Proofread free ebooks. eBook collections such as Project Gutenberg have made a tremendous difference in the lives of independent learners. You can now download thousands of out-of-copyright volumes without paying a dime. The problem: many volumes were converted quickly and are full of typos. You can make a difference by becoming an ebook proofreader. You can do it in your spare time and only have to commit to a page single page. Thousands of people are already working together to ensure the quality of publicly available ebooks. If proofreading isn’t your thing, consider helping in another way. Project Gutenberg needs volunteers to find books with expired copyrights, promote the website, and burn CDs for people who don’t have internet access. 5. Help record free audio books. Creating public domain audio books is a massive undertaking. But, once a sizable collection is available, lifelong learners will have an invaluable way to learn anywhere. Unlike a book or a website, audio books can be used while people do their errands away from home. You can listen to Plato while exercising or hear Darwin’s thoughts while driving to work. Even if you’ve never had any experience, you can record a free audio book via LibriVox. You can choose to record just a chapter or do the entire book yourself. If you are a professional voice actor, you may want to audition for a site such as Literal Systems or find an audio book recording group in your area. Do you know of other ways to support self-education on the internet? Have a story to share about participating in one of the above activities? Please share your thoughts in the comments section. 8 Comments on "5 Ways You Can Support Self-Education on the Web"
More great resources and ideas. Love the proactive approach. We sure can’t sit around waiting for the publishers and universities to come around. Excellent. Also – use Google Custom Search (‘CSE’, it’s free) to build specialist niche seach-engines? But please take some time to build and test them. I took four months to make JURN, a search-engine for over 3,000 ejournals in the arts and humanities. Having (and improving) the resources is great, but if not used, not useful. The piece I think is missing is to encourage self-learning by spreading the word and fostering online learning communities. We are spreading the word at iBerry – The Academic Porthole – by compiling the Open Courseware Directory – annotated listings of publicly available courseware from the universities and colleges of the world. A new project – OCW2 – also encourages self-learning by attempting to bring together Open Educational Resources for a particular academic topic in a useful way – OCW2 Maths is currently being developed. We welcome help with these projects! Knowledge, Energy, Food and health care should be free everything else should be negotiable. I’m a huge fan of the open education movement, though I find many of the projects within the movement depressingly difficult to navigate. Specifically, while MIT’s OpenCourseWare project hints at the great playing-field leveling possibilities of open access and open education, the site itself is nigh on useless for most purposes. I recently wrote about this on my own blog, at http://tinyurl.com/kq2rsf. I’d love for you to take a look! These are some great ideas. Hopefully people will feel free to continue posting to the thread with anything else they come across. JURN, I’d never heard of Google custom search before. I checked out the one you created and it looks like a very useful service. There are so many ways this could be used…Your comment inspired me to start working on a post about it. Thanks! pfctdayelise, I agree that the Wiki projects are a meaningful way to make a difference. I have a friend in college who created or added to a Wikipedia page every time he was studying something that wasn’t already written about. JennaMcWilliams, you do a good job of pointing out the problem with such resources. It seems that professors may need to edit and add information to OpenCourseWare collections rather than just throwing handouts and abbreviated notes onto a website. OpenCourseWare collections are more valuable when someone takes the time to think about how this information is coming across to the user.